Product categories of Seed Processing Plant, we are specialized manufacturers from China, Seed Processing Plant, Sesame Processing Plant suppliers/factory, wholesale high-quality products of Seed Processing Cleaning Plant R & D and manufacturing, we have the perfect after-sales service and technical support. Look forward to your cooperation! Seed Processing Plant is a complete set production line composed of seed cleaning and treating procedures. Seed cleaning procedure will remove the dust, big size impurity, small size impurity, stones, immature, eaten, sicken seeds out. Seed treating procedure will coat the protective chemical film on seeds' surface to improve seed germination rate. 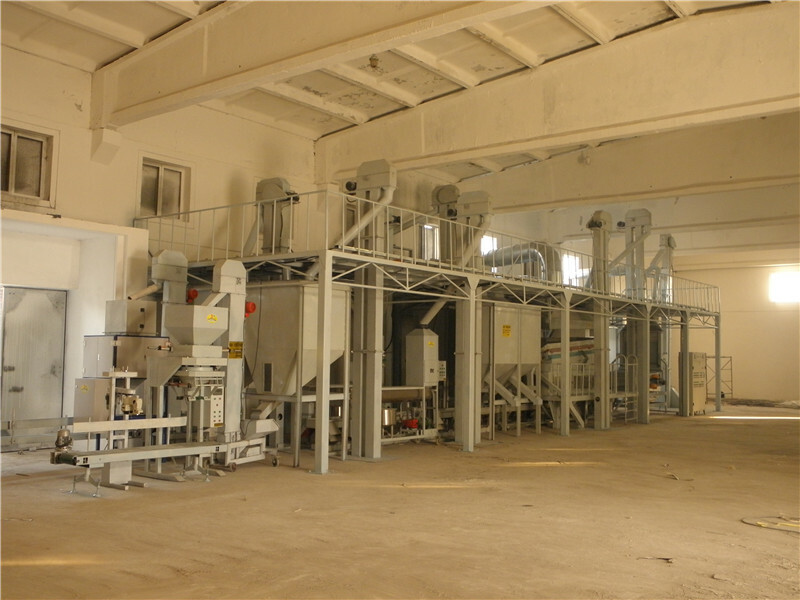 One Seed Processing Line normally including following equipment: Seed Cleaner , Seed Grader , de-stoner, Gravity Separator, Seed Coating Machine. We will offer particular plant solutions for every different seeds processing requirements. Oversea installation and training is available. 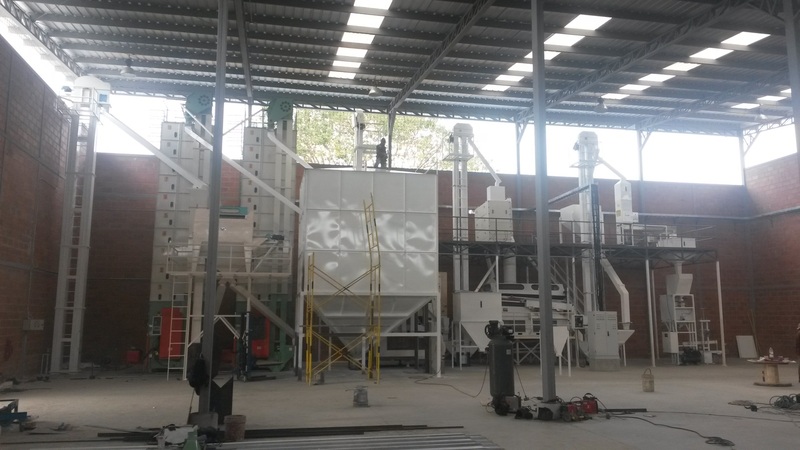 We built over 10 sets seed processing plants at home abroad. Following are two cases reference. 10 ton/hour wheat seed processing plant in Hebei, China. This 10 ton wheat seed processing line includes: 5XTK-10 wheat huller, 5XZC-15 Seed Cleaner & Grader, 5XZ-10 gravity separator, 5XFJ-10 seed Grading Machine, 2 sets 5BY-5B seed coating machine and 2 SETS DCS-50B Bagging Scale System. Gravity separator: Separating the immature, eaten, sicken, moldy, bad seeds. 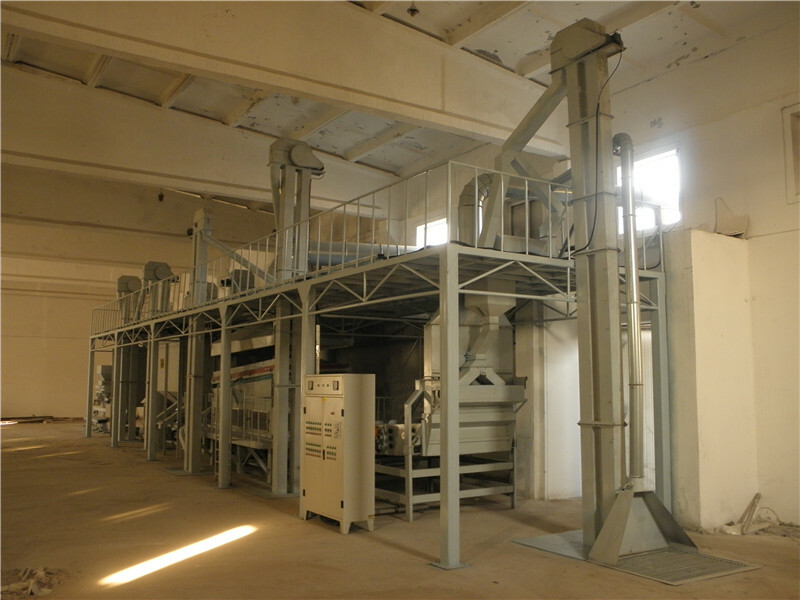 Seed coating machine: The two different level seeds go to different seed coating machine for chemical dressing. Bagging Scale : Finished wheat are being weighted and packed to bag. This client main crop is rice seed. Considering of the raw material condition, our engineer made following cleaning recommendation. Whole plant is made of drum precleaner, debearder, Fine Seed Cleaner, thickness separator, gravity separator, seed coating machine, bagging scale system. Thickness separator: separate the seeds by thickness, improve final seeds quality. Bagging scale: pack grain into the bags, prepare seed ready for sale.